Get ready for it. 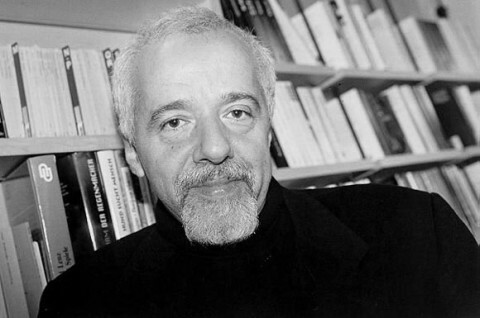 This week, Knopf will release Paulo Coelho's latest novel, Aleph. And we're taking bets on three questions. How many copies will be legally sold? (The Alchemist has sold more than 65 million copies.) How many copies will be pirated and given away? And to what extent will the circulation of illegal copies actually benefit legit sales? In recent years, Coelho has become something of a willing conspirator in the pirating of his own work. Sometimes he links on his own blog to pirated copies floating around the web. Other times he makes the texts available (in multiple languages) in a nice shareable widget. Coelho explains how his adventures in self-pirating got underway in a Q&A appearing in yesterday's New York Times. The rest of the interview continues here. And, in the meantime, you can find several Coelho books catalogued in our collection of Free eBooks. thank you very much Mr. Paulo Coelho. lets not call it piracy if the author would intentionally share his/her work online. Congratulations, Paulo Coelho, for your open and comtemporary mind, in a time that cultural goods are shared democratically. The ” maluco beleza” soul still prevails. Thank you Paulo Coelho. You are my best writer so let me quote a line from my favorite poet Bhuwan Thapaliya in your honor. Paulo is, to me, the blood that circulates in my veins. He is the very foundation of my survival. Reading his words is not only a mere hobby for me. It is my way of life.